DESIGNED WITH EXTRA STRONG MUSTAD HOOKS FOR BIG FISH. CUTS THROUGH WATER FOR FISHING IN RUFF CURRENTS. CAN CAST FARTHER THAN MOST JIGS. 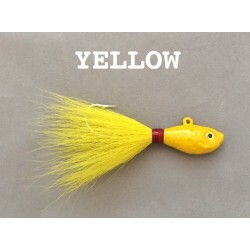 Ultra Minnow Big Game There is 1 product. This weight forward design of this jig head allows you to get deeper with less weight than most other style jigs. Oversized forged hooks Make this jig a favorite for canal fishing and other heavy current applications.